One of the highlights of the 'Classic Rajasthan' tour was the visits to the many rural villages. 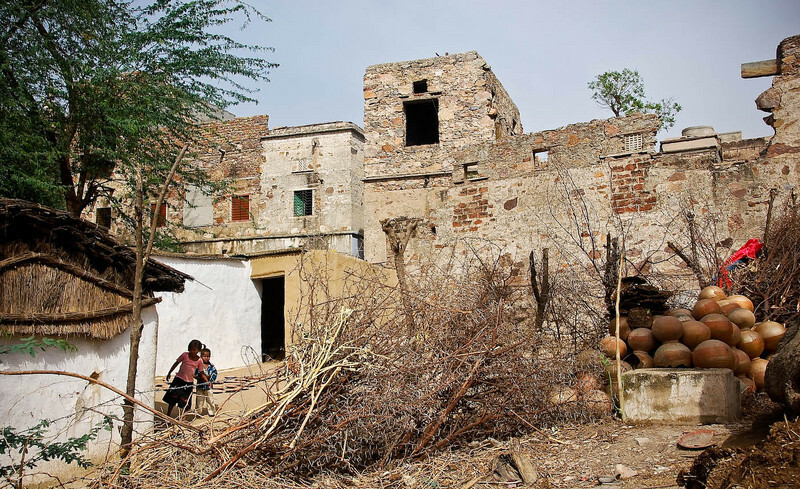 Our guide, Monty, grew up in a Rajasthan village like these so we got to many places that tourists don't go. These images are exactly how we found and experienced these villages and the people were genuinely welcoming and friendly. Although it has an idyllic look, the villagers worked hard (actually the women worked hard) to provide themselves and the community with the basics of life.